在受到表扬或感谢时，中国人往往比较谦虚，会说：“这没什么。”“这是我应该做的。”或者，“哪里，哪里，我还做得很差。”如果直译：It isnothing. This is my duty. This is what I should do. Well, I have notdone very well. There is still much to beimproved.所有这些谦恭的话，在外国人听起来，都会显得做作。西方人通常会说：It’s my pleasure. 中国人迎接远道而来的客人时常常会说：“一路上辛苦了。累不累?”You must have been tired after thelongflight(journey)而外国人喜欢在别人面前显得年轻、有朝气，不喜欢被人认为体弱，或有疲劳感。因此，上述问候话直译效果不好，可译成：How was the flight? Have you had a pleasant flight?或者You have had along flight. 直译：Your resource-based products can find a stable market in China andChinese industrial products can meet the needs of yourmarket.这么直译也许会让人担心，以为我们的工业品要去占领他们的市场。同样的意思可以翻得更客气一些。如：You may find astable market in China for your primary products and may also get anumber of industrial products from China to meet some of your needs. 直译：I wish to talk on China’s economic development in which you are interested. 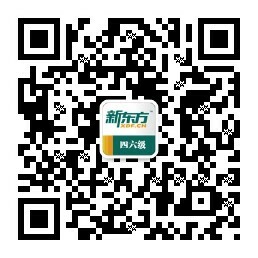 这样翻译，显得讲话者太肯定听众会对他所讲内容感兴趣。尽管讲话者知道听众是有兴趣的，但说得客气一点效果更好。可译为：I would liketo brief you on China’s economic development, which might be ofinterest to you. 1974年，加拿大“白求恩纪念委员会”访华代表团中有一位团员对我接待官员说，我方翻译像警察，原因是那天早晨，翻译到他房间对他说： Youhave breakfast at 8, get your luggage downstairs at 8:30 and leave herefor the airport at 9.OK?语言简单、生硬、不礼貌，给外宾留下了不好的印象。建议对外宾说：Breakfast is at8. Would you please get your luggage downstairs at 8:30?we are going toleave here for the airport at 9. 如：I suggest you take a bus. I have to disagree with you, but I would think…或者Well, there’s apoint in what you said, but …对某件事表示不同意见时，可以说：Would it not be betterif…请别人帮忙时，可以说：Could you do me a favour, 或者Excuse me ,I have aproblem,…等等。在绝别人要求时，可以说：I am afraid it doesn’t work.或者I wonder whetherit will work, but I’ll try my best. 习惯上可以译为welcome somebody to somewhere,或welcome to aplace.显然上述译法不符合这个英文词的通常表达习惯。应译为：Welcome to Beijing, Welcome toInternational Hotel 和Welcome to fly CAAC。如要翻译“欢迎贵国工商界人士到中国去投资”，不能译为：Wewelcome people from the business community of your country to makeinvestment in China.可译为：i)People from the business community here inthis country are welcome to make investment in China.或ii)We hope thatpeople from the business community here in this country will go andinvest in China. No Smoking或者Thank you for not smoking.